Luigi Fieni has signed the official manifesto of the fourth edition of the Cisterna Film Festival. Photographer and restorer, Fieni has been living in Nepal for 20 years. Among his collaborations, National Geographic. 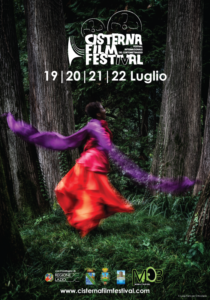 Since the first edition, the logo of the Cisterna Film Festival has always been entrusted to a local artist: In the first two years, space was given to painting with Cristiano Mancini and Luca Ferullo, after we moved on to photography with Alessandro Comandini, and this year is the same. This time it is Luigi Fieni’s turn. He is from Cisterna di Latina, he’s a restorer who has moved to Asia for about 20 years, mainly spent at Lo Manthang in Nepal. Specialized in the restoration of Tibetan and Buddhist monasteries, he is also a photographer, with collective and personal exhibitions all over the world. Among his many collaborations, the one with National Geographic is the most prestigious; with it, he has published a celebratory book and articles for the magazine itself. He also participated in two documentaries as an expert in oriental art. 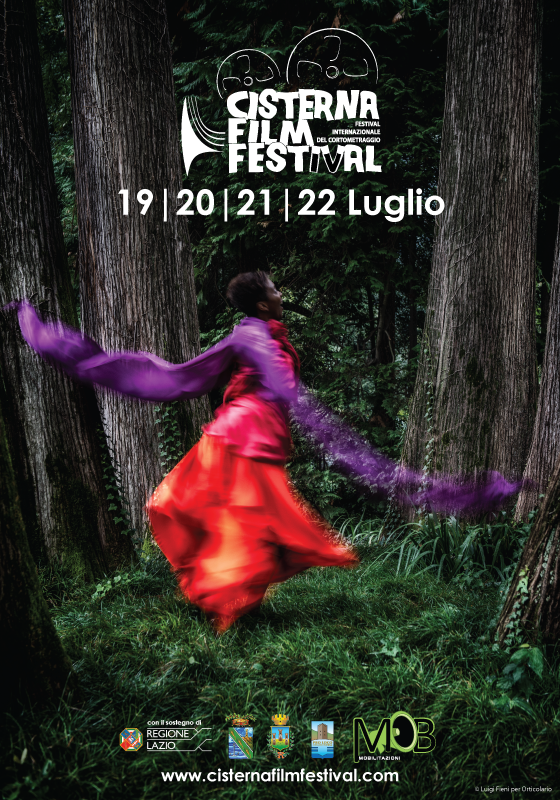 For the Cisterna Film Festival, it has been chosen one of Fieni’s photo taken in Italy but with a strong oriental influence. The picture was shot in occasion of “Orticolario”, an event held every year at Villa Erba (Como), for which he is the official photographer: an event that focuses on nature and its relationship with man. For the first time, one of your photos is linked to a cinema event: tell us about your relationship with the seventh art. Cinema is photography, and for me it is a source of study. Having being a self-taught in the photographic field, my real study consists in observing others’ works, so I think cinema is the apotheosis of photography. While I am watching a film or a short film, I do not just follow the plot, but I also focus on how the person is framed, and the one behind her, or how the background fits. For me it becomes a source of knowledge and inspiration, starting from the great Italian masters like Bernardo Bertolucci with his Little Buddha, which is certainly one of my favorite films. So you miss the cinema in Nepal? We actually had it at Lo Manthang for a couple of years. It was a small house used as a cinema with terraces and so on; born thanks to an enterprising monk who had managed to find some money and buy a projector and a DVD player. There was no electricity and so everything worked with the generator. Placed in front of the city gate was a blackboard with the title of the film scheduled for the evening. Not understanding the language, I went there to spend some time and interact with people. It happened that, after the projection began, people began to complain about what they were seeing. Therefore, after an hour of screening, films were changed, until one of them could make everyone agree. At that point, a new vision began but at eleven o’clock, they had to stop because the generator was too noisy. In all those year, I never managed to finish a whole movie. The follow evenings, they were always the same. I remember with pleasure that one year for my birthday they made me a surprise: they had found Indiana Jones in English, and they organised a screening just for me; but after a while, the cinema started to get crowded and after twenty minutes, they changed film again. By now, you have been living abroad for about 20 years, most of which spent in Nepal. What do you feel when you come back here to Cisterna? When I return, I breathe the air of the place where I grew up, the homely atmosphere. When I am far away, I miss my family and friends. Living in Asia, in a village of a thousand souls at 4000 meters above sea level and three days horseback from the airport, you get used to being happy with nothing, so when I am here I am not looking for other things because I am used to not having them. That is why I can enjoy the people I miss.